Michelle's journey to the top hasn't been easy. Born in the east end of Glasgow, Michelle left school at the age of 15 to look after her father when illness left him confined to a wheelchair. Returning to work briefly as a model and then as Head of Sales at Labatt Brewers, Michelle was always thinking creatively and looking for opportunities to channel her entrepreneurial spirit. But it wasn't until she was made redundant from her job at Labatts that Michelle came up with an idea that would change not only her life but also enhance the lives of millions of women around the world. Ultimo - the quality-crafted, cleavage-enhancing lingerie - was created by Michelle in 1996 and has gone on to become one of the biggest and innovative brands in the fashion industry. Its founder is now amongst the most respected businesswomen in the world and one of the most sought-after speakers on business and feminist issues. 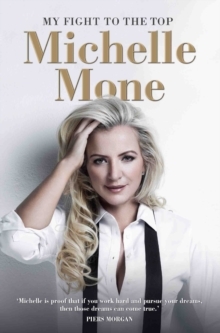 From overcoming near-poverty on the rough streets of Glasgow, to developing Ultimo into the foremost accessory for women, gaining an OBE and bringing up three children whilst going through an acrimonious divorce. My Fight to the Top is the tell-all account of the UK's most fearless fashion brand and the truth behind the woman that created it.